After days of uncertainty and speculation, The Pokémon Company has now officially revealed the mystery behind the 'nut Pokémon' that has been appearing in Pokémon GO. Meet Meltan, the mythical Pokémon. As you can see in the video above, this new Pokémon has finally been officially acknowledged and confirmed to be a mythical creature. It first appeared as part of a datamine effort at the end of last week, before randomly appearing inside Pokémon GO and transforming into Ditto when caught. This new announcement was just teased by The Pokémon Company online, with Nintendo of America joining in on the fun. More details are still to be confirmed for the new creature, but signs would suggest that it will have a Special Research task assigned to it in the mobile game - as hinted at towards the end of the video. It has also been confirmed that this will be the new Pokémon set to appear in Pokémon: Let's Go, Pikachu! and Let's Go, Eevee!. We'll leave you with this official artwork and info for the new Pokémon - we're growing fonder by the day. Are you a Meltan fan? Are you glad to see the mystery solved? Share your thoughts with us below. It's cute (in a way ), but it doesn't really go with the other Kanto Pokémon. ...unless this is the ditto of Ultra Beasts and this is how they are included after Alola? @bigcalsworld Well, at least the way they announced it was creative. It's an advanced Golurk prototype, the G-1000, made of a mimetic polyalloy. Liquid metal. 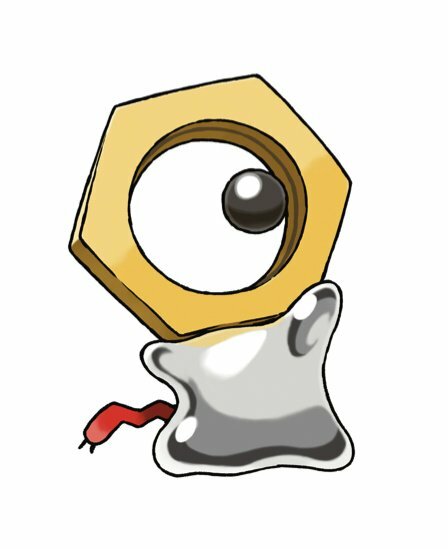 Meltan will get "ette" sooner or later. I think it's kind of cute, but 'meh' at the same time. "It was in an ancient text I once read"
@smithpa01 I don't get why people always thought Voltorb/Electrode were so uncreative. I thought the design was really clever. I imagine that, in the Pokemon universe, they were a species of Pokemon that gradually evolved Pokeball-like features because it helped them avoid capture and enslavement by trainers more often. You want "uncreative," just look at Pokemon like Pidgey or Rattata... they're just birds and rats. Or the ice cream Pokemon, for that matter. Based on the description it most likely has another form or can absorb other Pokemon in some way. I like it for having a rather simple design. Also, it's cute. The un-creative complaints are already coming in. 1 = lol they ran out of of ideas. 3 = What's this, a Digimon?! @UmbreonsPapa The Pokedex is filled with interesting lore on these creatures and the world they live in. I'd love it if they'd integrate some of that into the actual substance of the games. I quite like it, but that also throws out my "not a Pokémon" theory, about it being a confused Ditto transforming into something based on a perceptual error, such as looking at a camouflaged Kecleon. Interesting. I have to admit that while the design is crude.. the giant "eye" does seem to allow it to express itself pretty well. Also, considering that this Pokémon is showing up in Let's Go Pikachu/Eevee, I'm not sure which Generation we could call it. Is it an early Gen 8 Pokémon or a late Gen 7? 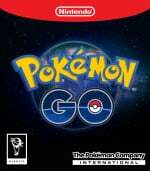 The leaked details would lean to Gen 7. @RupeeClock Well I was skeptical about the "not a pokémon theory" of yours but to be honest, nobody knew. Your guesses were as good as mine. @Ralizah I completely agree. There's some Pokémon I, if I'm gonna be honest, have either been on the fence about or just wouldn't have given a second thought to. On the surface, they seemed to be kind of "meh". But with some great lore behind it, gives them a whole new light. Your right. There are some Pokémon with some fascinating and terrifying stories behind them that would be fun to explore in game either as part of the main story or as a sidequest. @DanteSolablood as far as I know Let's go still falls under the gen 7 family. I just want everyone to notice how it looks like a wire has been soldered to a nut. Its body is solder. Catch it in the next pokémon movie! Based on design alone, I won’t use this Pokémon. Just not “cool” to me. @DanteSolablood In the past, we had Togepi and then Marrill and Elekid introduced during the Gen 1. But all three are considered Gen 2 Pokémon. So my guess is that Meltan is in the same boat? Or maybe the game rules differ from the anime on how these things are determined? Pokemon has ended for me when a new one was revealed through a mobile spin-off game. I guess it feels good to be finally set free from the curse of caring about this franchise. Well, Garbodor is officially not the worst design they came up with, I guess! @UmbreonsPapa Don't forget that Ho-Oh appears in the first episode of the Pokémon animé... so I'm pretty sure the rules are different. In fact the reason so many gen 2 Pokémon appeared in the animé that early is because the final roster for the game hadn't been finished when the animé went into production. @Yosheel That's me thinking as well, though how they decide to market this Pokémon is anyone's guess! Not having played Pokemon since started and never finishing White, I look forward to seeing this little guy in the Let's Go games. @DanteSolablood I believe the second generation was already in development by the time the anime started in Japan. @Yosheel You're correct, having double checked Gold & Silver were in development ready for a 1997 release but was pushed back for the release of the Gameboy Color. That may also explain Ho-Oh's odd colouring in the animé as the design had likely not been finished . This is an absolute POS. Well... That was... Something. They really seem to have lost their creative touch. A bit of a shame because this makes me worry for gen 8. This just adds to the disappointment of these games, and this is coming from someone who likes a lot of unpopular Pokemon. The design is horrible. In my opinion, it's just another reason to skip on these sad excuses for Pokemon games. Hopefully the 2019 games aren't as disappointing. If I'd invented 1000 new animals over the last 20 years, I think I'd probably coming up with random crap like that too. In my head, it's body looked like liquid mercury (which is extremely poisonous), so I thought it would've been Poison/Steel type. That could've been interesting. Alas, it is, in fact, a P.O.S. It’s funny to see people say that this design is unoriginal and too weird to sit alongside the first generation of Pokémon. Need I remind you of Magnemite, Ditto and Muk? None of those are particularly clever designs, either. Every generation has some well-designed monsters and others that are lackluster. The first generation is not an exception. New Yokai are looking more like Pokemon and the Pokemon are looking more like Yokais. I think it looks cute, I want this one. 100s or 1000s of Pokemon designs are left on the drawing room floor, but this one managed to become a real Pokemon. I'm really hoping they knock it out of the park for next years game but this... man, I don't know... I think I'm done with new Pokemon games. So stupid looking. I hope this isn’t where the 2019 game is headed. @Mew it looks like ditto and missngo had a bad night. I think he and everyone in time will "nut" all over each other with love eventually. Masuda needs to be fired right now. @DanteSolablood At first I thought it was a ghost type due to the floating eye. It's a good thing that the electricity part was mentioned in the dex. It goes a long way for explaining how it's floating like that (magnetism). @Ernest_The_Crab Correction... ELECTROMAGNETISM!! Though, if you look into the models & images closer you can see a little ring on the inside of the nut that could possibly be holding some sort or glass pane?? Or that just depicts the "orbit" of the eye. The Meltan model is actually more detailed than many people think. @DanteSolablood Yeah, it does look like a piece of glass. The eye itself is probably attached to it with the glass rotating to swivel the eye (or the entire glass piece plus the ball is the eye). If it's the latter is probably has a clear (and flat) sclera. @DrJiggle I’m on my phone but I would’ve posted Arnold Schwarzenegger attempting to smile in T2 as a response to your post. Well done, Doc. That's one of the lamest names I've ever heard. @Yosheel: The design is a curious one, but I think I'll go with "1" for this one. 3 applies to most of the Ultra Beasts, though in most of those cases it wouldn't have a negative connotation. I just take this as them trying to convince people on getting Let's Go Pikachu & Let's Go Eevee games. It is an interesting tactic but I suppose it could be said that you can get Meltan in the Pokemon 2019 games via an event or something. Correction: Ohmori should be fired be fired. The series has gotten worse since he became director. I really like the design. It is cute. I like the idea that it's basically living metal. I like it a lot more than previous Pokemon based on objects, like Klingklang and Garbodor, as they were just living versions of their objects. This Pokemon is much better designed. For any of those usual haters who think Pokemon was only creative in gen 1 or 2, I point you to masterpieces like Voltorb, a ball that evolved into electrode the same ball, only flipped over, and both Magnimite and Diglett that evolve into 3 Magnimite and Diglett respectively. Lol I didn't expect this. Now I want a Bolt and Screwdriver inspired pokemon. Let's have one for everything in a tool box. The Hammer and Nail Pokémon. I can see it. File this one under "It's not a defect, it's a feature". Should’ve saved it for Gen 8: Pokemon Nuts and Bolts versions. My cousin is a Pokemon freak and the other day he showed me this and kept telling me "hahah everyone keeps thinking and saying its a new Pokemon but its not, theres no way. hahah". Dude gets on my nerves with this Poke stuff too. Weird, my Ditto turned into Meltette. Something about the design doesn't sit well with me. Hopefully generation 8 has good monster designs. This design is so lazy that I actually like it. Its ugly and it doesn't look like it belong to kanto. Where is MissingNo?